Beaver Stadium has an official seating capacity of 106,572, currently making it the second largest stadium in the Western Hemisphere and the third largest in the world. It is widely known as one of the toughest venues for opposing teams in collegiate. Beaver Stadium is an outdoor college football stadium in University Park, Pennsylvania, on the campus of The Pennsylvania State University. 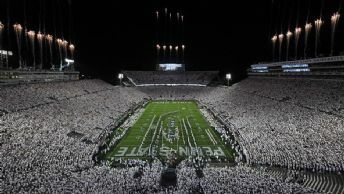 It is home to the Penn State Nittany Lions of the Big Ten Conference since 1960, though some parts of the stadium date back to 1909. 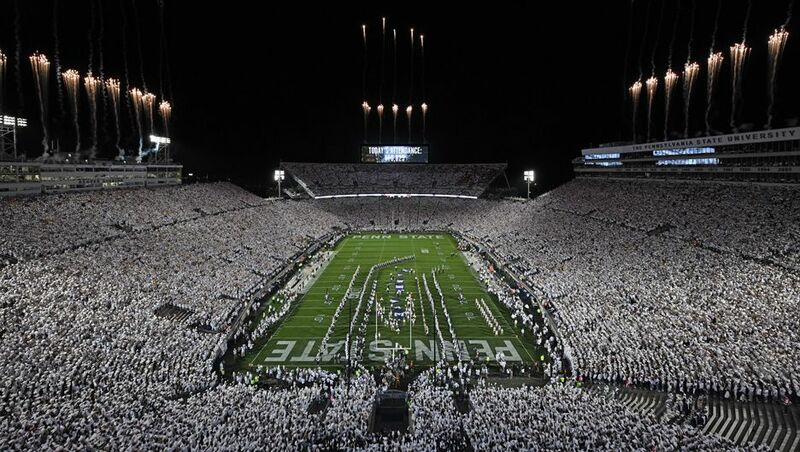 Beaver Stadium has an official seating capacity of 106,572, currently making it the second largest stadium in the Western Hemisphere and the third largest in the world. It is widely known as one of the toughest venues for opposing teams in collegiate athletics. Beaver Stadium was recently recognized as having the best student section in the country for the third consecutive year. PSU vs Michigan 2017 - this location requires minimal route exploration. Select the green “View Map” tab to view this location on Google maps. Enter your starting point for detailed driving directions. Download a free copy of the Four Factors of Filter Highlight Photography in PDF format by selecting the “ebook download” tab above. This 37 page guide covers how to take a single image and apply minor manipulations that will help you produce consistent reproducible results. You will also learn the processes of camera set-up, image editing, and advance scouting techniques used by professional photographer Christian James. Free park maps, tide reports, ebooks and additional information can be found under the Maps and Resource tab located in the black bar at the top of the screen. The best time to photograph this location is early morning. Nikon D850 14-24mm Lens @ 14mm f8@ 1/250 second ISO 500 Exposure Value -3.0 with a 3 Stop (0.9) Soft-Step Spilt ND Filter. 10/21/17 7:39 p.m.